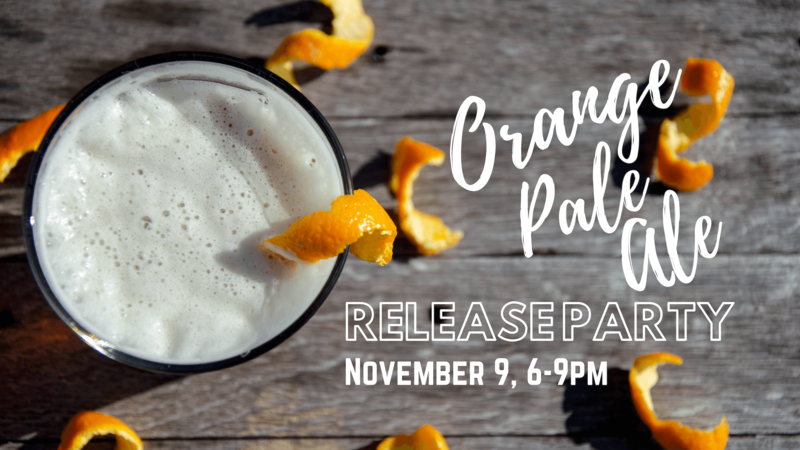 Join us as we release the last Taproom Series beer of the year – Orange Pale Ale! What you can look forward to: a specialty infusion of Orange Pale Ale, live music by John Cron (starting at 7 pm), prize drawings with items from our taproom, and Louise’s Place pop-up pretzels or pasties. We’re also offering $1 off pints and discounted growlers of Orange Pale Ale all day. The first drawing will be at 6:30 pm and will go every half hour until 9 pm – must purchase a pint of Orange Pale Ale to enter the drawing, and must be present to win. Mark your calendars! !